I have made mistakes in life. There are true horrors in my past that I do not like revisiting. It can happen, you know, to you and me! But today, I am not venting it all out on you. Except maybe this one – the Blogging Mistakes I’ve Done! If you’ve been my loyal reader for long (I so hope you are), you would know my blogging journey. It was one of those ‘night shifts’ in the office, where after gulping down lots of caffeine, I decided to start a blog. I was then a newlywed, trying to flash her cooking skills and impress her darling husband. I came up with a sweet and unique blog name- Tale of Two Tomatoes! (It does sound like a food blog, doesn’t it?) All I did was write five sentences about how my day went and the dish I cooked for lunch. However, a couple of months down the lane, I wrote my first non-recipe post and it was selected as the week’s WOW Post by a popular blogging community. From then on, there was no looking back. I started penning down poems, fiction, anecdotes and almost everything under the sun. I enjoyed doing it. There was never a moment of hesitation or a writer’s block. I never took blogging seriously and I never hoped that my blog was popular. I had few loyal readers and a handful of favorite blogs which I loved to read. I was happy with just that. But then, I attended one of the best blogger meets in town and was surprised when quite a few of them came up to me to know if I was the Tomato Girl. It was such a high. My blogging journey was spectacular and I absolutely loved everything about it. But then, last year, I decided to take a leap and move from a mere blog to a BRAND. I was done being referred to as the Tomato Girl (for whatever reasons I could think of) and I badly needed a change, a new face, a new beginning. I was so enthralled with this new idea of rebranding that I whipped it up and made myself the Kohl Eyed. What was I expecting? That it sure would be going to get people buzzing all around the blogosphere? But that’s not what happens. Right? Do you ever get the feeling that some bloggers must have been born as skilled writers? Or some are so lame but still manage to be on the ‘Popular Blogger’ category? Their writes don’t move you. But how do they have so many followers across all social media platforms? How do they have the time to do all this? I often wondered how it was easy for all of them and sadly, I wanted to be that. I was so lost in the technical jargons of blogging that I hardly noticed what I was slowly giving up on. I was focusing more on improving my Alexa Rank, learning about SEO and going after numbers and statistics. I had three popups asking the reader to subscribe to my blog. I wanted Google to rank my blog high. I wanted brands to find me. I wanted collaborations. I wanted everything that an ideal blogger had. I was obsessed. I tried hard to transform my Tomato Blog into a niche blog. I was trying to be happy with the change but always knew something was amiss. For a while, I did only book reviews but was soon bored to death. It was then followed by travel posts, which I believe made my readers yawn. I tried so hard to push myself so as to fit in this mad race. I realize that in the process, I’ve lost many readers who loved and encouraged me. Today when I see an announcement of an upcoming Writing Challenge I go into a dilemma. I wonder day and night on how it would fit into my so-called niche blog. I think about how the prompts have got nothing to do with travel or books and that may be I should actually skip participating in the challenge. This wasn’t me! I loved writing. My brain exploded. My heart wept. Today I was so sad. I talked to one of my favourite blogging friends and was soon in tears as I poured my heart out. A year ago, I could write a poem when I wanted to. I attempted fiction even when I knew I was making a complete fool out of myself. I participated in writing challenges without holding back and thinking how it isn’t good for my blog’s page rank or SEO. Today I found myself saying over and over again- this wasn’t what I wanted! As I look back, was it all worth it, I fear! I was confused and clueless as to where I wanted to see my blog. I had all the time in the world and I refused to write even a single word. This may seem like a rant to many but I am trying now – to be who I am, to be happy while writing, not to chase after numbers and to simply enjoy it all. I am taking baby steps by participating in one of my favorite blogging challenges- the Write Tribe’s Festival of Words, starting Saturday. I hope you are as excited as I am. I’m linking this musing with #MondayMusings at Everyday Gyaan. Shalini it’s great that you could pour your heart out about what you were feeling. That’s always healing. You are not alone in this journey. I’m sure many of us go through this time and again. The idea is keep at it and write for the love of writing. I’ve been in the blogosphere for 9 months now, still building a reader base. I do fret about the numbers at times but I’ve decided I won’t kill myself for it. I will write for my passion of writing. I’m sure with you will make an indelible mark with your new avatar too! We all are here rooting for you. What a bold action… Letting the heart out! But that means you truly are a strong person and I am sure you will sure weather all small and big storms! And this post comes as a caution for newcomers like us! Thanks for being the light house! Wish you all the best for the Write Tribe Festival of Words! Look forward to read interesting posts from you! Sometimes stepping back is the key. I went through the same agonizing moments as you have recanted here and realised that all I want to do is just write. If in the course of that some money comes my way – so be it!! But I am not chasing numbers and followers – in fact I have started to discard ones I dont like or who followed me just to get me to follow them and sneakily un follow… Sigh! what a twisted world it had become. I love your posts and for one would say just write!! I am looking forward to reading your posts as I have really missed you on the blogoshere in the past few months. Cheers and best of luck for the FOW!!!! Although, I’m a very small blogger compared to you, in the past one month the amount of review posts I have done has already started exhausting me. Now, I would love to do sponsored posts etc, but I feel that I lost everything I started with. I love kohleyed me & I know you are a talented blogger with readers who wait for your next post. You have a blog dedicated to cooking besides this. So, please do not feel so sad. Looking forwards to hopefully be hear to cheer you on (and myself) for the FOW with writetribe! Woah! 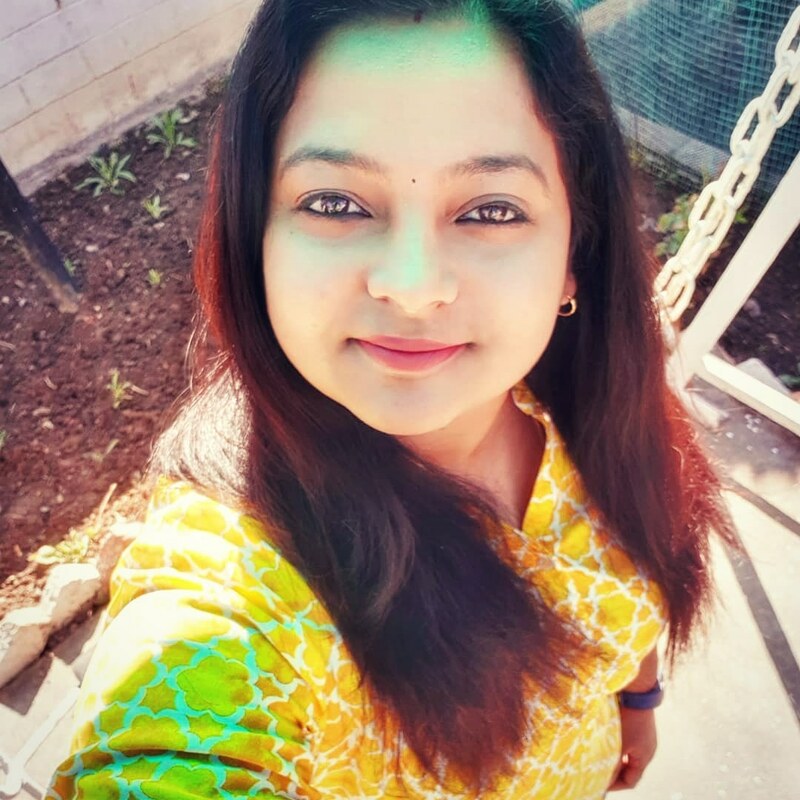 It’s such an honest post, Shalini on your blogging journey on what you wanted to be as a blogger. Our views may or do vary, but you are doing things that matter. There is nothing bigger than that and keep doing it. Congrats for the challenge. Yeah, I do remember your blogging journey on writing between free time in office. I did that too in the past the time when I was working as a sub-ed and journo. I can sooooo relate to this post…it is as if you have written on my behalf..like you, I too started a cooking blog, even though I hate to cook and always try to run away from it..but as everyone around were food bloggers I thought that was the best thing to do…then I started a travel blog..this blog gave me happiness but not popularity..and finally I decided enough is enough now onward I will write only what I want to write…so I started writing fiction..I listened to my heart and now many readers come and suggest that I should write a book…In the end, I think we should only write what our heart wants to write..Great post..
Love that you were able to find your niche. my blog is still just me– I haven’t yet been able to brand myself at all. Good to know your journey in blogging. Also good that you kept changing always to keep up readers. I started writing too and but stopped after few as didnt know how to continue. Hope i will start again some day as i have more time now but stuck on how to start again. All the best for the contest. This so sounds like my story plus few people trying to drag me down. But nonetheless a few months back I decided I did not want to be a niche blog, I want to do whatever I want to. Be it review a product or write a poem. While I still have dreams of monetizing but not at the cost of this. I loved your travel posts. And I would never in my life forget your Life of an army wife in life ever. Such powerful is your writing. I don’t think your blog is without focus. It’s reflective of your life – the things you love, what you are passionate about…A lifestyle blog! Shalz, don’t worry so much. We love you as tomato girl and kohl eyed girl. It hasn’t changed the personality of the blog. We all have phases of self-doubt and worthlessness. What matters is to find your comfort space. And the numbers will fall in place. You are definitely not alone my dear. At least once in our blogging lifetime we go through these emotions. I would say do what you love. Going after the numbers is very exhausting, at least that’s what I experienced. I always loved reading your personal posts… They made me connect to you at a different level. Your recipes are of course class apart. I am looking forward to FoW too. I like writing and learning.I actually fell in love with learning this entire process and then I realized I loved writing even more.I think there’s a reason why we write.The trick is to not forget that .If you forget it’s no more fun.Best wishes kohl eyed tomato girl.you will be what you want to be. I applaud you for having this epiphany! I am seeing more and more of this – including me, when I look in the mirror! You’re not alone, by any means! And I celebrate a return to good (or at least heartfelt) writing by real humans with real imaginations who are not trying to be slick Internet marketers when it doesn’t come naturally to them in the first place. I think some of what we’ve learned along the way – about how to promote our blogs and grow readership, for example – is valuable. But not when it drowns us and robs us of the will to write at all. I await the first post of FoW. 🙂 don’t break your head, Tg. 🙂 It’s ok. Baby steps are always welcome. Sometimes, two steps back is important to go one step closer in the right direction.